When I first moved to nullsec, my corporation relocated to a remote region called Omist, deep in the southern Eve hemisphere. Back in the day this region only had two stations and you would have to go at least 30 jumps in any direction to find hostiles. I spent most of my time ratting in a small back end system. I recognized the same players in the same systems every day as I moved to and from my destination; they never answered me in local when I asked if I could join them (this was alliance policy) so I asked my older corp mates what those guys were doing there. And that is when I learned what bots are. I quickly discovered that following these bots and looting their faction spawn wrecks was more profitable than shooting NPCs myself. Since then I was acutely aware of the bot problem and automations like the warp-to-zero autopilot. I hunted bots, killed their ships and stole their loot. For the longest time, CCP did not seem to care about the problem. Luckily, this changed over the years with CCP building a team that developed tools to trace botting and RMT. They also tightened the EULA and enforced a more robust policy against botters. Detailed information can be found on Nosy Gamer’s excellent blog, covering CCP’s bans and RMT sellers. 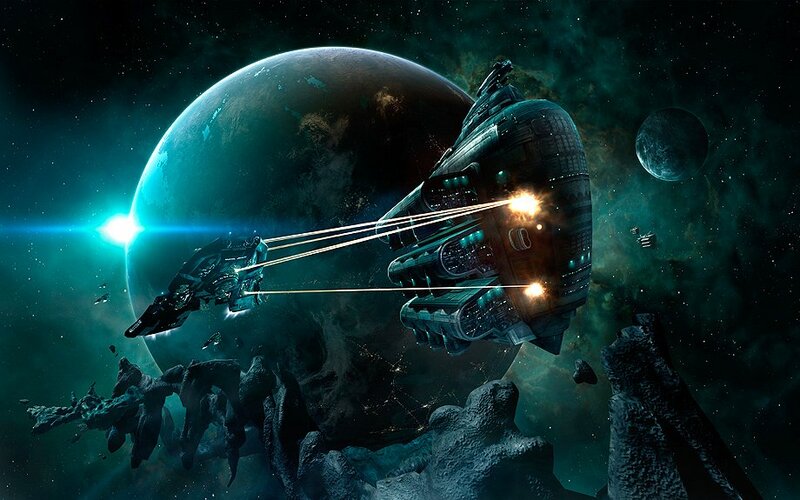 In March 2013, CCP’s automatic tools were finally able to detect a bot called Questor. However both the both Questor and the multibox tool ISBoxer share the same backend software called Inner Space which handles the input to the Eve client from either the bot software or a player. The forums and Eve-related blogs covered the rules and policies as far as automation is concerned and they can all be summarised as such: ‘CCP does not endorse third party software, and if you use it you might get banned for it’. Still, CCP decided to not pursue their own policies against users of ISBoxer. Some commentators have suggested this may relate to the large amount of subscription money the company receives from users of ISBoxer due to the need for multiple accounts – of course that is purely speculative. The impact on industry and mining can’t be measured as well. Due to current game mechanics and balancing, an ISBoxer bomber fleet is very effective and can dictate any sub-cap fight in Eve Online at the moment. A typical bomber fleet needs a probing bomber, a dictor and six bombers for damage. Additionally you need a BlackOps battleship, a covert transporter for resupply and a covert cyno bomber. Skilling those bomber alts takes as little as 40 days and after the initial training time, the remaining available character slots on the accounts can be used for other purposes. 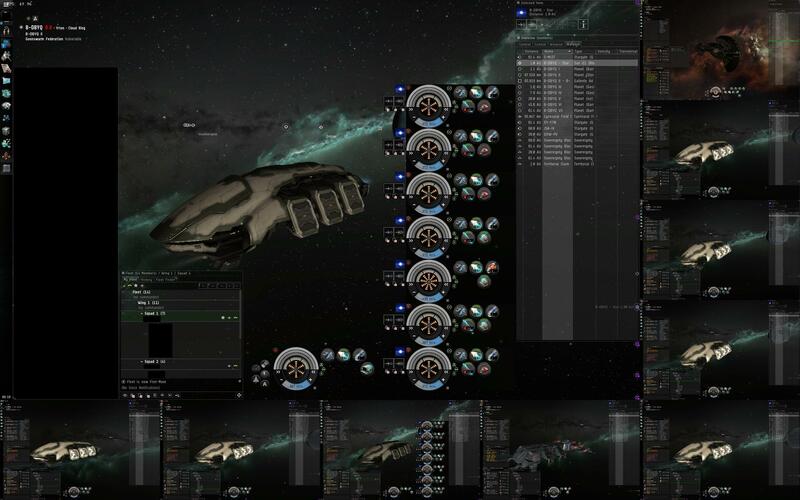 With ISBoxer you can form your own fleet that mines ice, kills NPCs in anomalies, smartbombs lowsec gates, suicide ganks in highsec, kills a random titan in lowsec, destroys ~50 Tengus in one bomb run or grinds through one of Eve’s numerous structures with supercapitals. When you move through highsec mining hubs just watch for a long list of similar names in local and you probably found an ISBoxer user. There is essentially no limit to how many characters you can run as you connect multiple PCs to your own bot network, using software to manage the workload that multiboxing requires. An ISBoxer is able to do what a normal fleet of individuals can’t do, reacting quicker and avoiding the usual mistakes that happen when so many people are involved. In the end no matter how much money a subscriber is willing to pay to use Inner Space or ISBoxer, it is undeniably another form of pay-to-win. Exactly the same as those who bot. And with this in mind CCP should treat them identically. Shut them down!